Canada's auditor general has shot down the Liberal government's handling of the air force's aging CF-18s in a blistering report that raises questions about national security, and even long-term safety, regarding the viability of the country's frontline fighter jets. 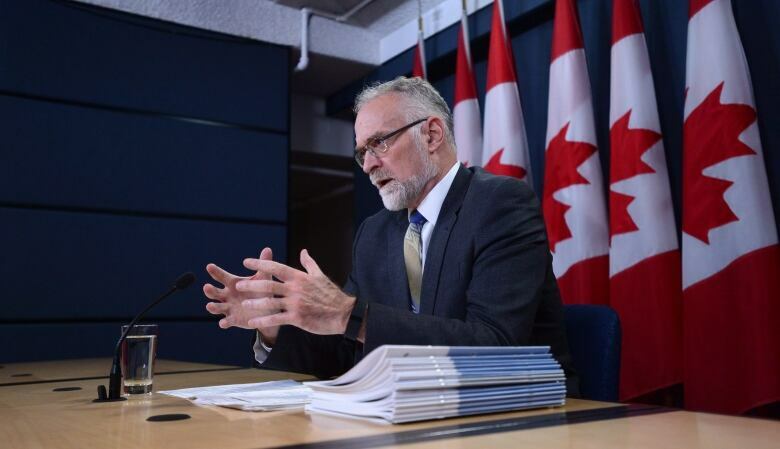 Auditor General Michael Ferguson's fall report, tabled Tuesday, methodically picks apart the recent policy change at the Department of National Defence, which requires the military to have enough warplanes to meet Canada's commitments to both NORAD and NATO at the same time. From the get-go the policy was a non-starter, and the federal government knew it, said Ferguson. "The fighter force could not meet the requirement because National Defence was already experiencing a shortage in personnel, and the CF-18 was old and increasingly hard to maintain," said the audit. As of April 2018, the air force's CF-18 squadrons faced a 22 per cent shortage in technical positions — and a startling number of technicians were not fully qualified to do maintenance. Fighter pilots are also in short supply. The air force is losing more of them than it is training each year; among those who do remain, almost one third do not get the required 140 hours of flying time per year. At a news conference following the release of the report, Defence Minister Harjit Sajjan conceded that personnel shortages were identified "early on" after the Liberals took over in 2015. "This is a problem we knew we had," he said, pointing the finger at budget cuts made by the previous Conservative government. "This is what happens when you don't put enough resources into the military." The extent of Liberals' own efforts to boost recruiting and retention of pilots and technicians in the three years since the election was the subject of some confusion Tuesday. A written statement from Sajjan said the government "will launch new efforts to recruit and retain pilots and technicians." During the news conference, the minister said the military's top commander had been directed to deal with the problem and that recruiting pilots is "a priority." Pressed for specifics on recruitment, Sajjan said he's "going to leave it to the experts to figure out." The auditor's report took issue with the Liberal government's strategy to fill the so-called capability gap by buying additional interim aircraft. 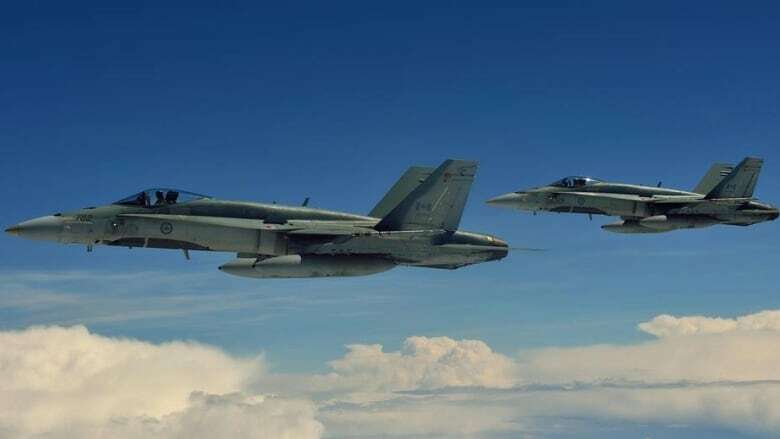 The current proposal is to buy used Australian F-18s — of approximately the same vintage as Canada's CF-18s — and convert them for further use until the federal government completes the purchase of brand-new aircraft. This plan, the auditor's report said, "will not help solve either the personnel shortage or the aging fleet." Ferguson said an earlier, $6.3 billion plan to buy 18 brand new Super Hornet fighter jets on an interim basis would have been even worse — and the government was told so in no uncertain terms by the air force. "National Defence's analysis showed that buying the Super Hornet alone would not allow the department to meet the new operational requirement," said the audit. "The department stated that the Super Hornet would initially decrease, not increase, the daily number of aircraft available because technicians and pilots would have to be pulled away from the CF-18s to train on the new aircraft." The proposal to buy Super Hornets was scrapped last spring after the manufacturer, Chicago-based Boeing, angered the Trudeau government in a separate trade dispute involving the sale of Bombardier passenger jets. The Opposition Conservatives have long claimed the 'capability gap' was concocted by the Liberals as a way to push off a decision on a permanent replacement for the CF-18s. In the last election, Prime Minister Justin Trudeau pledged not to buy the F-35 stealth fighter, the preferred option of the Harper government. The report led to sparring in the House of Commons, with the Conservatives seeing the auditor general's assessment as vindication. "Today's report confirms what we have been saying all along," said James Bezan, the defence critic. "Justin Trudeau deliberately misled Canadians by manufacturing a 'capability gap' to fulfil a misguided campaign promise, and in the process has put the safety and security of Canadians at risk." Sajjan, however, believed the report supported the government's position. 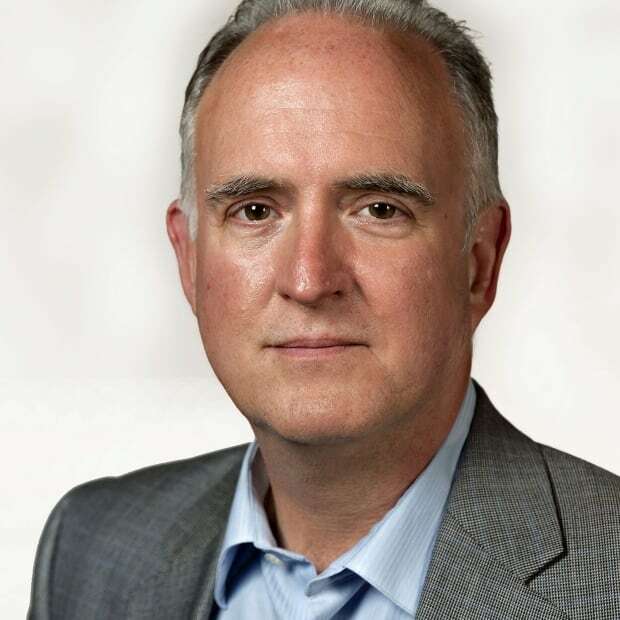 "The report confirms what we have always known: The Harper Conservatives mismanaged the fighter jet files and misled Canadians for over a decade," he said. "The report confirms a capability gap exists, and started under the Conservatives." In fact, what the report said was that "Canada's fighter force could not meet the government's new operational requirement." It contained objective analysis of how many aircraft would be required to meet various contingencies. Meanwhile, the auditor is warning that the Liberal government has no plan to upgrade the combat capabilities of the CF-18s to keep them current over the next decade while the air force waits for replacements. The last major refurbishment of the war-fighting equipment on the jets happened in 2008, and Department of National Defence planners have done little since because they had been expecting new planes by 2020. "National Defence did not have a plan to upgrade the combat capability of the CF-18 even though it will now have to fly until 2032," said the audit. "Without these upgrades, according to the department, the CF-18 will become more vulnerable as advanced combat aircraft and air defence systems continue to be developed and used by other nations." The fact that the CF-18s are not up to date means they will not be able to operate in certain environments where the risk of surface-to-air missiles or advanced enemy planes is great. That, in turn, "would limit Canada's contribution to NORAD and NATO operations," Ferguson said. Sajjan said the department is looking at an upgrade to the combat systems. "We would love to be able to solve this problem immediately," he said.